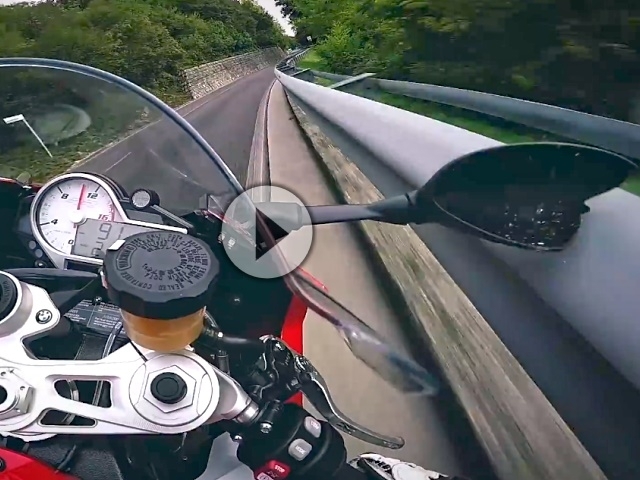 BMW S1000RR am Limit. Außnspiegel trifft Leitplanke. Leaning crazy close to the guardrail.